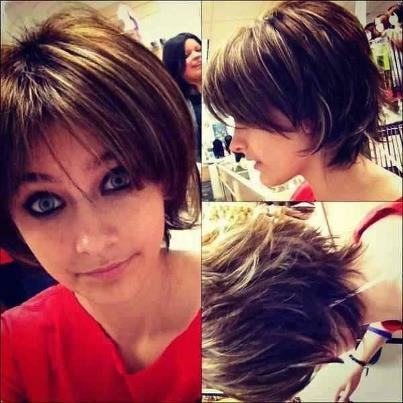 Paris Jackson has been creating news around the world with her new hairstyle, which is similar to a Miley Cyrus hairdo from August. Posting a picture on Instagram of the new hairstyle, Paris had everyone guessing as to whether she had actually cut her hair, pulled it back or was playing with a wig. Eventually it was revealed by the producer of Paris’ upcoming film Lundon’s Bridge and the Three Keys, that she was indeed wearing a wig. It would not have been too alarming to hear that Paris had actually cut her hair, as she had come out in support of Miley Cyrus’ haircut of a similar nature earlier. At the time, the young Jackson had tweeted about how she didn’t understand why people did not like Miley’s hair as she loved it. She also mentioned how Miley was being herself and being different and how she loved that.